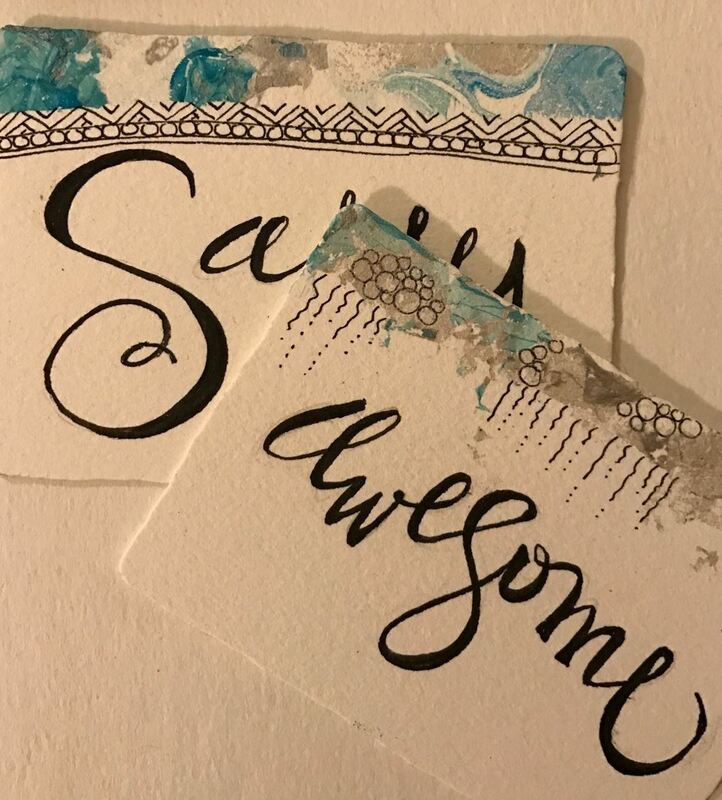 Come learn some fun new patterns AND see a Demo of our Marbling technique! Marbling is a great way to get an elegant (but still random) string on which to draw your patterns! Purchase tiles at The ARTbar and you can try it out too! We'll have the process ready and set-up for all you experimental souls. This month we'll be drawing tangles on an elegant marbled background. Here's a sample of all the fun we'll have!! 1) Zentangle Share: bring a piece of your recent artwork to be entered into a drawing! 2) Tangles Share: I'll share a few tangles you can add to your collection. 4) Open Studio! : you'll have time to talk and tangle in our inspirational environment on one of the marbled tiles from the Demo. 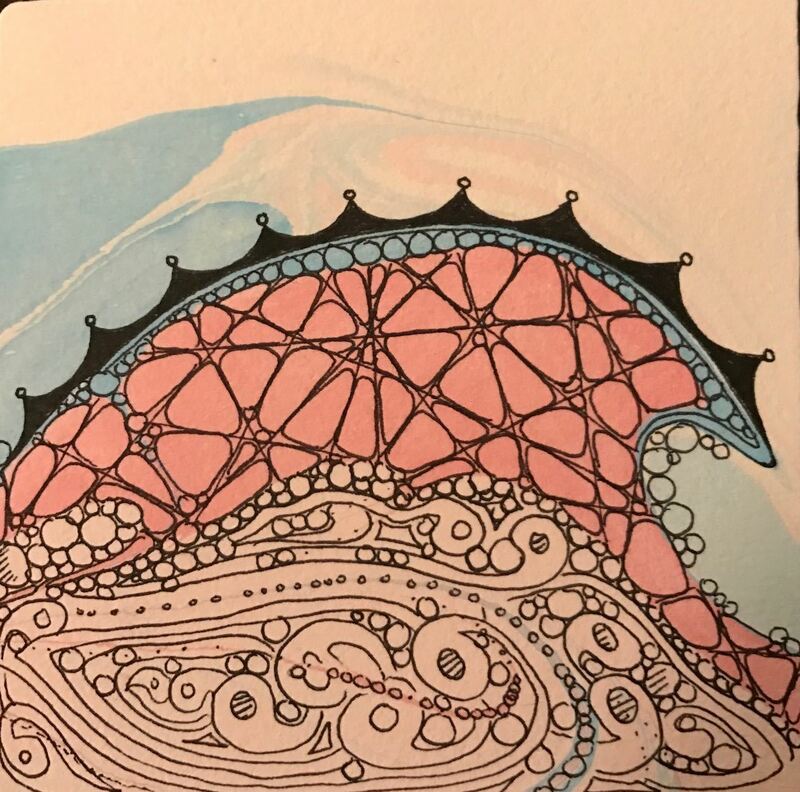 (Note: If this is your 1st Zentangle workshop here at The ARTbar, you will want to sign up for the Intro to Zentangle Workshop. We want everyone to have gone thru the same 5 basic tangles, and most importantly, the philosophy behind Zentangle.